 Supported OS: Windows 10/8.1/8/7/Vista/XP along with Windows Server 2003/2008/2012, etc. 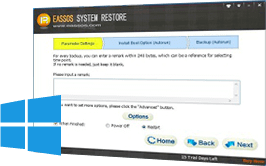 Works in most data loss scenarios - Recover deleted photos from camera, restore formatted pictures from memory card, retrieve lost images from cell phone, etc. 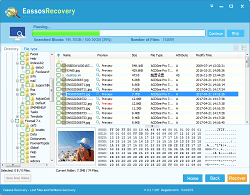 Supports the recovery of various file formats such as JPG, ICO, PEF, MEF, WMF, TIFF, RAW, CRW, GIF ORF, BMP, PNG, PSD, EMF, PSP, SDR, MAX, DGN, X3F, CR2, etc.  File preview function is available, which helps users to find out desired files precisely and check file quality in advance. 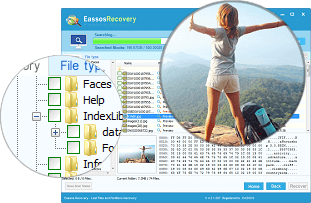 Eassos Photo Recovery lists lost photos and pictures while it is scanning so that you can view and check files without waiting. 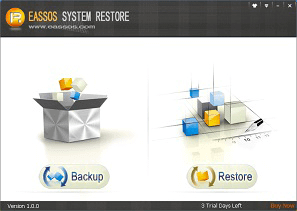 The recovery process can pause and continue easily during file scanning progress based on users' demand. It takes three simple steps to get back lost photos. No recovery skills or additional tools are needed.  Step 1: Select the storage device where lost photos were stored. 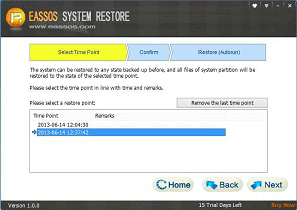 Step 2: Fully scan the selected drive or partition. Step 3: Preview and save needed files to desired location. 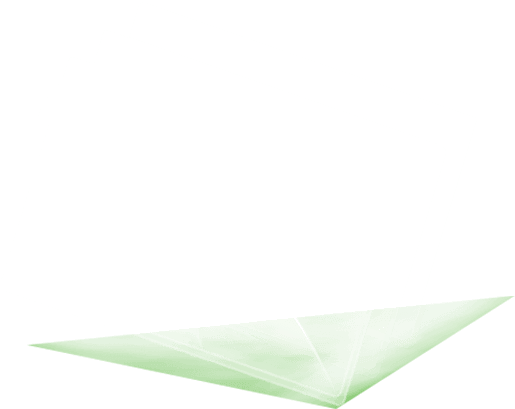 File scanning result is saved automatically in order that users can load it and resume recovery instead of scanning from beginning. Filtering photos and pictures to be recovered via file name, extension, size, resolution, etc. helps to find desired files quickly. 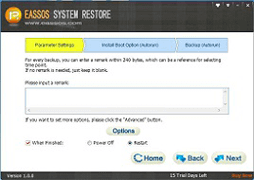 Read-only recovery process is 100% safe, for it won't cause damage to device or overwrite lost data. "Really thankful for this software! I accidentally deleted all photos from digital camera and this tool recovered all files within 30 minutes!"